Very good driving school. I am a slow learner and my instructor has always been patient with me. Both on the road and in-class, the instructors are knowledgeable and give useful tips for better driving. Great place, will always recommend! I would definitely recommend Sprint Driving School as they have great driving instructors who are highly professional and competent. I had a positive experience and was able to get my license after the first test. Igor is very helpful and kind, speaks multiple languages and offered flexible timing according to my availability. 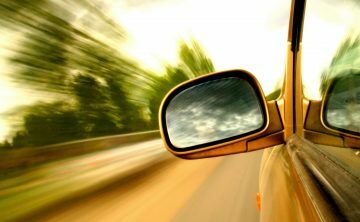 The driving classes helped me with techniques and tips for safe driving, thanks to Sprint Driving School I felt confident with my driving skills. I have just passed my G2 road exam today, but not without help of SPRINT Driving School. Igor is an amazing instructor. Thank you! I would recommend SPRINT Driving School for everyone who wants to be an excellent driver. I had a great experience with Igor as my teacher! He is very nice, positive and gives great critical feedback. I passed my test and would recommend Sprint Driving School to anyone, whether they are beginner or not! If you need to improve your skills or just want to learn to drive. I highly recommend this school, since the staff are really nice and calm. even if you make a mistake, they wont yell at you. and that really helped me, since i usually panicked when i make mistakes. Ministry-Approved BDE course provider in North York providing driving education services around the big Toronto area. Sprint Driving School has 20 years of experience in helping our students learn the art of driving. In addition to our professional, one-on-one approach, we are dedicated to provide friendly, reliable driving school services for the competitive price. 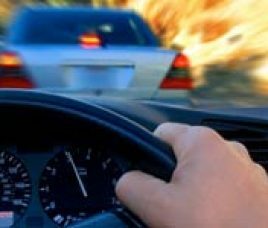 Whatever your level of driving experience, Sprint Driving School can offer driving lessons in Toronto, North York, Maple, Vaughan, Thornhill, Richmond Hill and Aurora to suit you. From driving tests to refresher courses, our friendly and experienced instructors will help you to achieve your goal quickly and affordably. Our Driving School provides you with a great choice of courses and packages. It gives you the opportunity to select the one that fits your needs better. Not sure which one is the best option for you? Don’t worry, call us and we will be more than happy to assist you with it by assessing your previous driving experience and providing you with the right options. 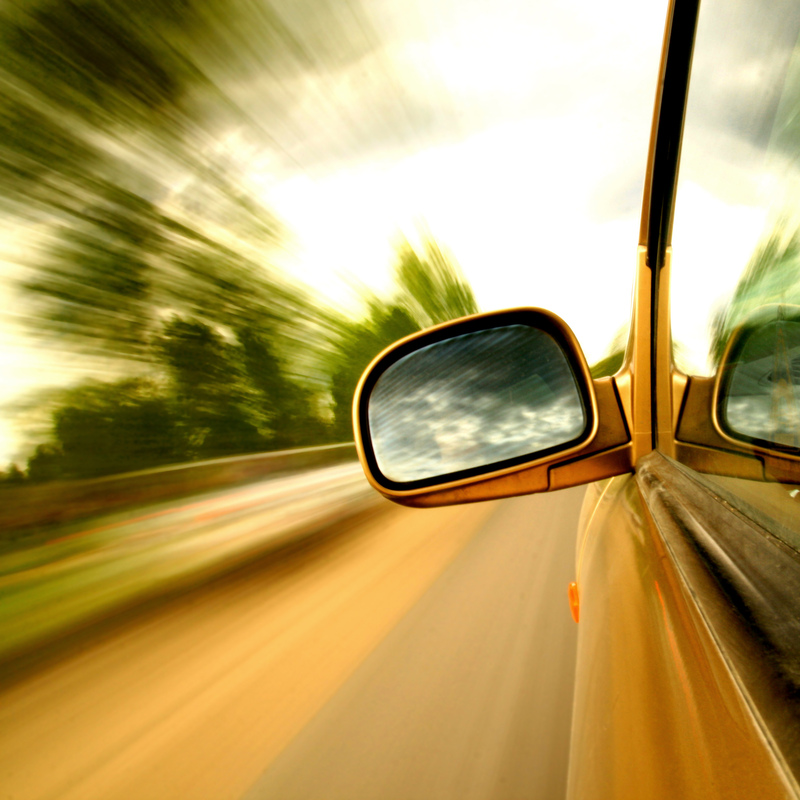 Sprint Driving School provides you with the best service and driving education possible. Trust us – we take our job seriously and we know we are responsible for creating safe roads of tomorrow by preparing today new knowledgeable drivers that will practice safe driving behaviors. We know a lot and we will help you become a confident driver so you are not only prepared to successfully pass your road test, but are also able to apply safe driving skills on a daily basis. Ready to start? Please check the list of the MTO-approved Beginner Driver Education (BDE) courses, Driving Lessons or Driving Lessons with the Road Test Packages under the Sprint Driving School Courses Menu option. Sprint Driving School guarantees the best quality of MTO Approved Courses. Known as one of the best driving schools in North York, we have 20 years of experience in helping students learn the art of driving. What students learn in the classroom is what they practice in the car with driving instructor. Sprint Driving School in-car instructors demonstrate all life-saving techniques during the driving lesson. Our students have the opportunity to practice these skills with a professional by their side. That means when it happens in real life – they’ll know what to do! 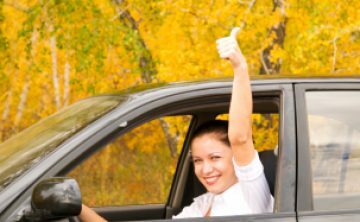 We do our best to provide parents with the most reliable service and teach their teenage kids the art of driving. We take the trust and the responsibility for tomorrow's safe drivers seriously. The great feedback from our students and their parents is our most valuable asset! How can I get driver license in Ontario? 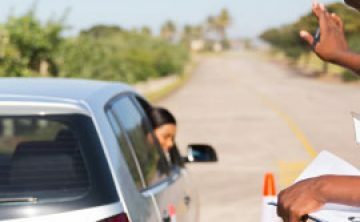 You need to be minimum of 16 years old to get your G1 license With your G1 license received, you need to wait for 12 months to get your G2 license after passing the road test. 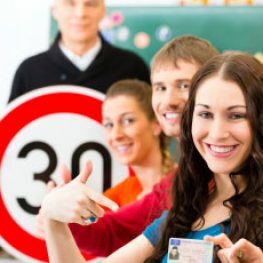 If you complete MTO (Ministry Transportation of Ontario) approved driving school course (it is called BDE - Beginner Driver Education course), your waiting time is reduced to 8 months. So, you can get G2 license after 12 months without driving school course and after 8 months with driving school certificate. You can get G license (Full Driving License) after a year from receiving your G2. So, there is a MINIMUM 1 year wait between G2 and G licenses. You can complete the graduated license system in as little as 20 months, and you have MAXIMUM 5 years. 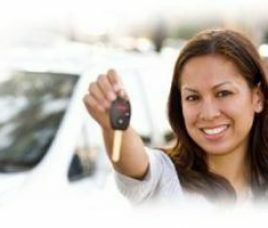 What is the process for getting my G1 License? You have to be at least 16 years old. 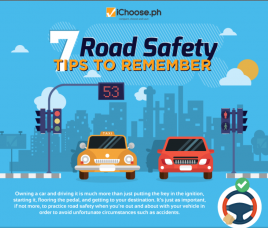 You must pass an eye test to find out if you can see well enough to drive safely, and you must take a written test about the rules of the road. What is the process for getting G2 License? What is the process for getting Full G License? Before you can get a full G license you must have your G2 license for at least 12 months (or 8 months with driver's training) AND pass the G2 road test. 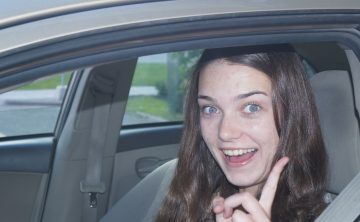 After successfully passing the G2 road test, you are now a full G license holder and if you are older than 21 you can enjoy driving on Ontario without restrictions. If you are 21 or younger there are some restrictions. What are the restrictions for G1 license driver? What are the restrictions for G2 license driver? 12 Month Practice Period: You may practice with your G2 license for 12 months, without the need for another experienced driver in the vehicle, on any Ontario roads, at any time. Zero Blood Alcohol: You must maintain a zero-blood alcohol level. All Passengers Must Wear Seatbelts: You must carry only as many passengers as there are working seatbelts. Additional G2 Restrictions For Drivers 19 And Under Night Driving Restrictions For First 6 Months: You must drive for the first six months with only one passenger who is 19 or under between midnight and 5 a.m. Night Driving Restrictions After 6 Months: You may drive after the first six months with up to three passengers 19 or under between midnight and 5 a.m.